The OM370 range of glazing bars is designed to work with 24mm glass Double-Glazed Units, 25mm and 35mm polycarbonate. 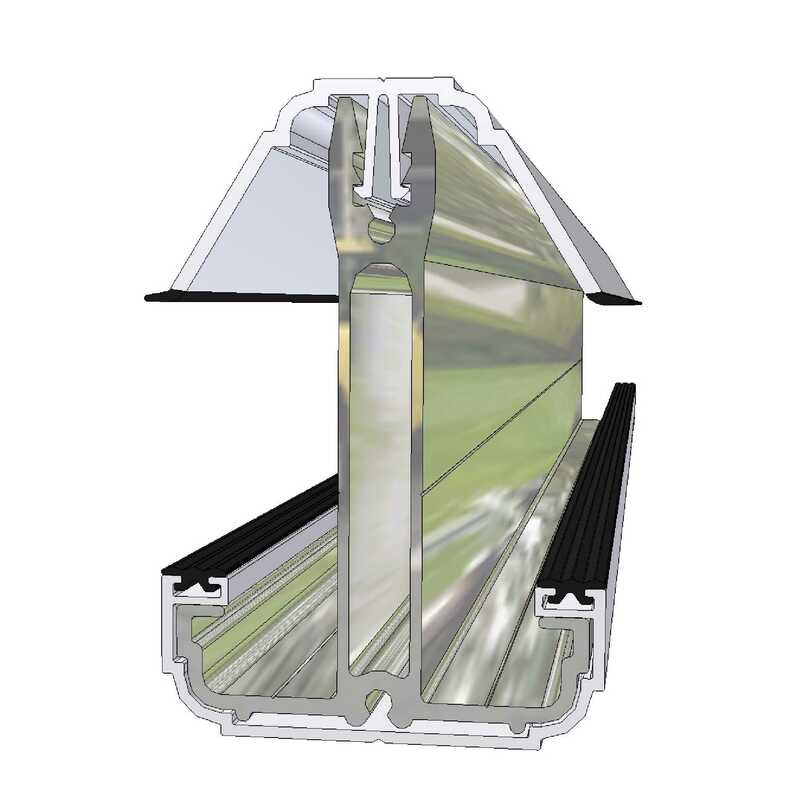 The glazing bars can be supplied with white uPVC top caps or brown aluminium top caps. The aim is to enable a wide variety of roof glazing options to be accommodated within a Lean-To type conservatory roof. An installation guide is supplied with the OM370 components. OM370 Components are guaranteed for 10 years. If you know what you want: Buy Online below. As well as Glazed Roof Components • Self-Supporting Glazing Bars for 24mm, 25mm and 35mm glazing Omega Build supply a range of roofing components such as roof lanterns, roof domes, diy conservatory roof kits, polycarbonate roofing sheets, polycarbonate canopy kits, door canopy kits and much more. I would recommend your affordable products (Glazed Roof Components | Self-Supporting Glazing Bars for 24mm, 25mm and 35mm glazing) to anyone else considering this product, as it has been superb. Omega Build Shop | Glazed Roof Components | Self-Supporting Glazing Bars for 24mm, 25mm and 35mm glazing. You are viewing Glazed Roof Components | Self-Supporting Glazing Bars for 24mm, 25mm and 35mm glazing, buy online today!